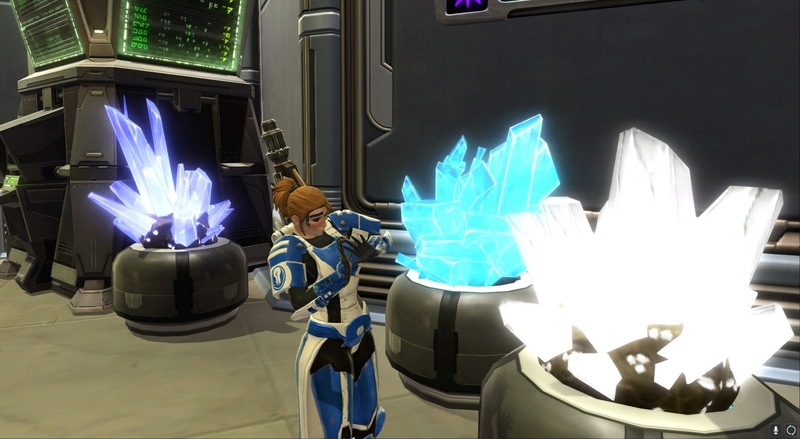 The real reason I wanted a new PC however was that I was sick and tired of always being the last to load into anything in SWTOR, with the group usually being on the second trash pull by the time I was able to move and act! I never timed them but I think my loading screens tended to last between 40 and 50 seconds - I know that much because if I was in a PvP queue and the warzone popped just as I started zoning, I would usually arrive just in time to still accept it. It was time to upgrade to an SSD! After dealing with some minor nuisances, like they always seem to come up when you switch to a new machine (such as the new USB wi-fi adapter not being compatible with the operating system), I am now happily switching zones within only 15-30 seconds. That can still feel kind of long at times to be honest, but it's certainly a lot better than it was! The new PC also forced me to upgrade from Windows 7 to 10, and I have to admit my first reaction was instant dislike. Windows 10 is trying way too hard to pretend that it's a mobile operating system, what with giant buttons, use of phrases like "tap here" and calling programs "apps". This is a proper PC, not a phone, damn it! I managed to tone that down a bit fortunately, though the impression of a somewhat half-baked OS remains. It didn't help that I ran into two known but minor bugs on the very first day - one causing images to give an "operation timed out" error when you try to open them shortly after having moved them around, and another causing the basic categories like "documents", "images" etc. in the file explorer to appear in multiple duplicates until you restart it. On the plus side, SWTOR seems to run fine on it, and I decided to jack up the graphics settings to the highest possible for once. (They were already on high previously, but I had some bits and pieces turned off.) I didn't know that archaeology crystals would suddenly glow this brightly with bloom enabled! It's almost blinding! Screenshots presented me with a problem. As previously mentioned, I used to use Fraps to get around the known issue of SWTOR's screenshot function not working in cut scenes. However, as it turns out I couldn't re-download my paid version of Fraps on the new machine, and after learning that it apparently hasn't received any updates in over three years, I wasn't actually that keen on buying it again. Fortunately looking for alternatives quickly revealed that Windows 10 also has its perks - such as a built-in screenshot function for games, activated by pressing Windows + Alt + Print Screen. It's a slightly awkward key combo, but it should work for those situations when normal Print Screen would usually let me down. There is a built-in recording function as well to replace Fraps' video recording function, but I actually found an even better alternative for that. Sounds like ShadowPlay is similar to screen cap programs the more advanced security suites use; you login and you access an admin account, and the security suite tracks everything you do, so if there was any funny business that went on the security admins can find it. I've been running on Win 10 since last year, and I've not seen either of those bugs you referenced. Maybe because mine were upgrades from Win 8.1 I never hit that issue. But still, congrats on the new rig!